Born in Boissivain, Manitoba, Bev’s first job was just 40 miles north at station CKX in Brandon, playing country music for fans in that listening area. His popularity soon gained him a top DJ job in Dauphin, Manitoba and from there, to Regina. 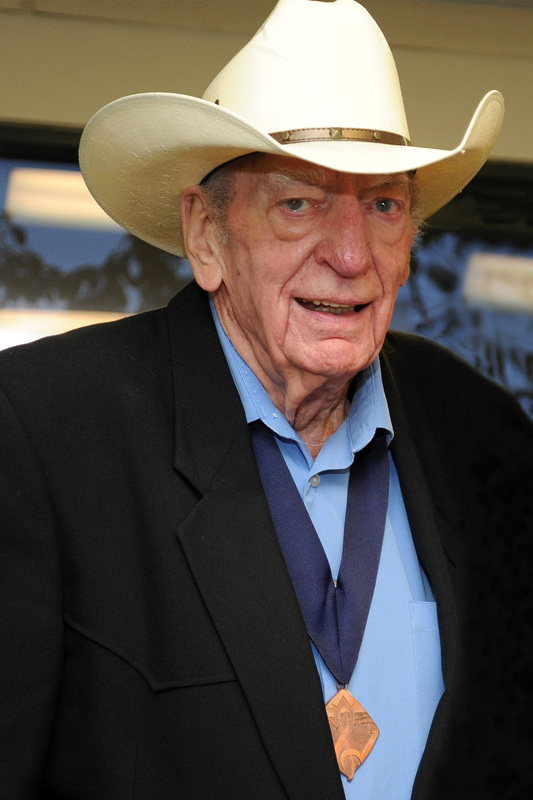 His last move was to CFCW in Camrose, Alberta, where he spent 30 years behind the microphone. As the morning host, he started the still-popular Mystery Artist Request Line and his famous Knee-Slapper jokes.In 1959, Bev was named “Mr. DJ USA” along with Ralph Emery, at WSM in Nashville, Tennessee, an honour no other Canadian DJ could claim. On weekends, Bev was out playing shows and dances with his band. His popularity as a singer got him a recording contract and his first hit song was “Hello Operator.” Other songs he wrote become number one hits for such artists as R. Harlan Smith, Chris Nielsen and Hank Smith. From his Capitol LP came his signature song, “Babysitting With The Blues” which got him an opportunity to tour with such artists as Faron Young, The Kitty Wells Show, Jimmy C. Newman and others. In September 2002, Bev was inducted into the Canadian Country Music Hall of Fame in the DJ category, at the CCMA Awards. Bev is one of those people who is tall in stature and strong of heart…a real down-home country boy. “The Canadian country music industry will never ever again be blessed with the likes of my dear long-time friend, Bev Munro. 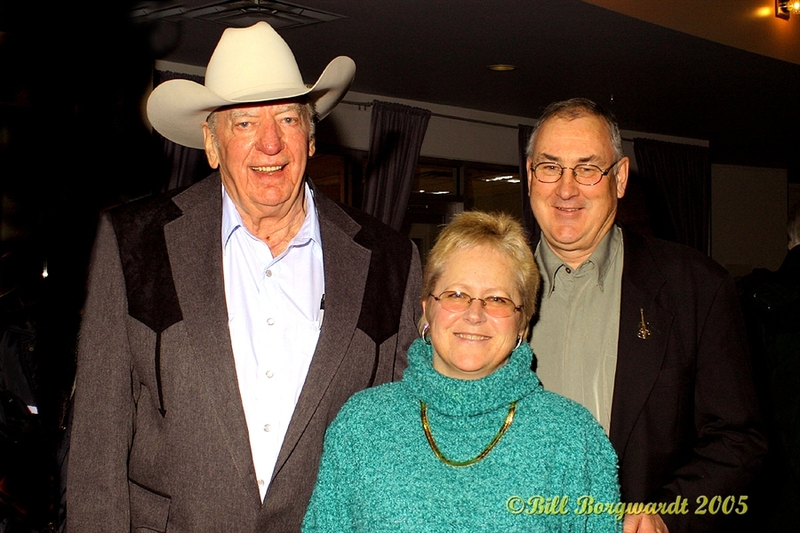 I probably knew Bev longer than most folks, as our relationship went back to his days at Radio Station CKRM, Regina, a number of years before he reigned supreme at Canada’s first 24 hour country radio station, CFCW. My first live performance on radio was way back in 1960 when Bev Munro, the voice of Regina’s CKRM, introduced me to his audience. I was awestruck even then by his immense talent as a broadcast personality, never mind his singing and storytelling God given gifts. Ah but always, from the moment I met Bev, Bev was the man, Bev who said it like he believed it to be, Bev not just any man, but to me in many ways THE MAN. Thank you Bev for blessing the Royalty Records label with your great country voice on your own recordings, and a very special thank you for a most personal gift to myself and Chris Nielsen when you played a song you had written and wondered if we might do a duet recording of what was to become a country classic song, “Stolen Moments”. That incredible song solidified our fortunes as a duet. There is no way Chris and I will ever stop singing this wonderful song when we perform as a duet. There are many memories during one’s lifetime that are etched forever in a person’s memory. Those moments live on; they pass every test of time. Such was a very personal call from Bev about three weeks before he moved on. It lasted more than an hour. We recalled the Saskatchewan days, the CFCW times, the Legends shows. We laughed at each other’s sometimes ridiculous carry-ons, and yes sometimes our voices cracked a bit with emotion.